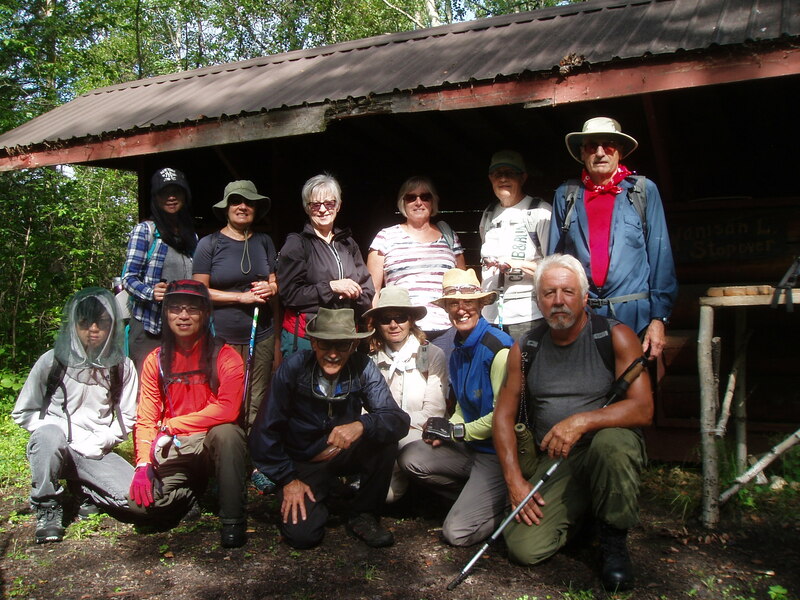 It was longer than some WTA hikes, with a total distance of 12 km, but our team was seriously svelte and eager to take on a million mosquitoes. Sprayed with a plethora of chemical repellents (claiming only to be disagreeable to bugs), and further armed with mosquito nets, we began our adventure. It wasn’t long before Jerry found some flowers that he did not know, so he picked them for later identification. As we walked along we were pleased to learn that our new recruit, Robert Scriba, was a bit of a birder. When we rested at the Wanisan Stopover, he alerted us to the proprietor of the cabin, a Western Peewee. Farther on we stopped at the Wanisan Lake Lookout, where he called our attention to a Ruddy Duck. And as we elegantly navigated the boardwalks alongside a beaver pond, he pointed out an adorable family of Blue-winged Teals. It’s always a treat to have someone in the group who can teach some of us more about our natural world. We were fortunate to time our lunch exactly when the rain came. We were sheltered in the very cabin where Darlene and David are stationed every winter while volunteering at the WTA Aid Station during the Birkebeiner. 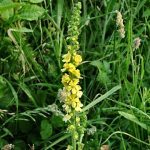 By the time lunch was over and Jerry identified his flowers as Fringed Loosestrife, Agrimony and Yellow Rattle, the rain had relented. The hike back seemed fast, as it usually does. But we did have time for an impromptu boot camp featuring the classic quackgrass-between-your-thumbs whistle. Vivian was the champion and intends to keep practicing. Her son Marco was very proud! She thanks all her professional coaches. We’ll assess her progress on another hike. Jerry later commented: The vegetation had grown rapidly. But the clearing done by the trail maintenance crew made walking much easier. In the long stretches of trail the sunlit interludes revealed bright red sprigs of fireweed. The pretty, fragrant dogbane shrubs around the high lip of a beaver pond were amazing. 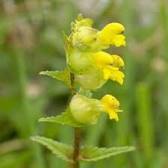 Elsewhere along the trail we found other plants in yellow flower but had to check our books to identify them. 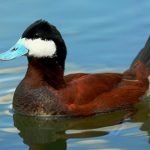 Coots, blue-winged teal and ruddy ducks and other waterfowl were on the ponds. A few harmless garter snakes escaped the trail as we passed by. There were signs of recent beaver work along the trail and deer tracks in the muddy spots. As you can see in the photo (below) we had to protect ourselves from mosquitoes—Nature’s indicator that we still have a somewhat pristine environment.